Our fire training Kent, fire training Suffolk, fire training Hertfordshire and fire training Norfolk courses are all IFSM approved sessions. We deliver a range of vital fire training courses for fire marshals and general staff. We also deliver workplace courses for schools, care homes, construction sites and hotels etc. Our team provide IFSM accredited fire training Kent courses. Courses include fire marshal, fire warden, extinguisher, care home and also school fire training. In addition, we provide workplace training for construction sites, healthcare premises and also hotels. As an approved fire training centre, we can change our fire training Kent courses to include managers fire plans and procedures. In addition to in house fire marshal training we also provide online fire marshal training. Our online fire training courses are also accredited by the IFSM. We can offer single fire marshal and general staff courses or supply tailored online fire training websites to companies and organisations. These programmes will include your fire emergency plan and fire evacuation procedures. Our team has provided fire marshal training, general staff and workplace fire training in Kent. We have recently worked with charities, care homes, schools, factories and offices. Our courses for these organisations included live fire extinguisher training courses. In addition, to fire training Kent programmes, we have also provided fire risk assessments. The findings of the assessments was added to course programmes to increase attendee fire safety knowledge. For fire training Kent courses, either call us on 01206 549589 or send us an email. Our team provide in house and also off site fire marshal training Kent sessions. As an approved centre we can also change our courses to include your plans and specific risks. Fire marshal training Kent can be carried out with a live fire training session or without. Our fire marshal training Kent courses will be found as suitable and sufficient training sessions by any inspecting fire officers. All persons receive a certificate of attendance and also online fire training notes. We can also provide online fire training Kent programmes for all organisations and businesses in Kent. Our team will film at your workplace and provide a unique fire training website for your staff. We can provide short fire extinguisher training Kent sessions for your staff or service users. Our courses are IFSM accredited programmes and can include live sessions. Your staff can tackle real fires using water, foam and also CO2 fire extinguishers. To carry out we do need a suitable outside space. It will need to be approx five car parking spaces, not visible from a main road and also in a space that you own or occupy. In addition, the space should not be accessible by the public and also away from flammable, combustible sources and air intakes. Our school fire training sessions are accredited by the IFSM. This is a national fire body that helps oversee good practice within the fire industry. Our fire safety for schools course is suitable for headteachers, governors, teaching staff and also all other support staff. The course includes fire safety of the building and also plans for school daytime, breakfast and after school clubs. It also covers less regular events such as parents evenings, school plays and also summer events. Since you will also need to consider fire safety for those that hire the facility, we will also cover these issues. For more details of school fire training Kent sessions, either call or email us now. Our team provides approved care home fire training. The care home fire training course includes common causes of fire in care homes, fire extinguishers and can also include a live fire training session. In addition, we look at all types of evacuation procedure and delayed plans. The course considers the different types and stages of fire events in a care home and the action to be taken. Finally, we can conduct a managed fire drill to ensure that your staff have understood the issues covered in the course. We can also provide a fire risk assessment of your building and then cover the points found during the fire training session. This highlights any faults and can help staff to identify possible causes of fire and how to avoid them. For more details of care home fire training Kent sessions, either call or email us now. We provide fire training in Hertfordshire. Our course programme includes fire marshals, fire wardens, extinguishers, care home and also school fire training. In addition, we offer workplaces courses for construction sites, healthcare premises and also hotels. Our team can provide in house fire training Hertfordshire marshal courses. Your fire marshals and fire wardens will will learn about their fire safety role and understand extinguishers, accounting and evacuation and much more. 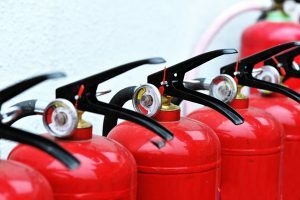 Our fire training Hertfordshire extinguisher courses are ideal for training large numbers of staff. We can add your fire emergency plan and include a live fire training exercise. As an approved fire training centre, we can change our courses to include your fire plans. For fire training in Herts either call or email our team. City Fire Training provides fire training in Suffolk. We have recently delivered fire marshal. fire warden, care home and also school fire training in Suffolk. In addition, we regularly run courses for construction companies, hotels and also healthcare premises. Our team provide IFSM accredited fire marshal training courses. This is a three hour course which can be changed to include your specific plans. You may place any number of persons on your workplace fire training Suffolk marshal course. We can deliver in house fire training Suffolk extinguisher courses for your staff. This can include live fire training using our training rig and fire extinguishers. For details and also costs of our fire training in Suffolk courses contact our team now. We also provide fire training in Norfolk. Our team can deliver fire marshal training in Norfolk and fire warden courses in Norfolk. Courses can also include live fire extinguisher sessions using our fire training rig and extinguishers. We deliver in house fire training Norfolk marshal courses. These IFSM approved courses can be adapted to include your in house fire plans. Managers may place any number of staff on their in house course. Our in house fire training Norfolk extinguisher courses can include a live fire training exercise. Your staff can tackle small fires using our training rig and extinguishers. For full details and costs of fire training in Norfolk either phone us or email us now. Ask about our online fire marshal training courses.